Drinkbox Studios: makers of Guacamelee. See scared girl with bloody bandages — and missing arm. Go into scared girl’s head. Explore dungeons through girl’s perspective — on a rigid first-person grid (in pseudo 2D). Enter battle when walking into black spirit thins. Enemies surround you in battle. Hold-touch the screen to charge a touch-slash. Parry enemy attacks by swiping along their attack-arms. Slash the enemy enough and they turn into a bloody mess (Yay!). This trailer makes the explanation of some of the most difficult-to-explain gameplay seem as easy as spreading butter. The director of this trailer, Marlon Wiebe captured so much about Severed because of a process of that he detailed in his trailer blog. 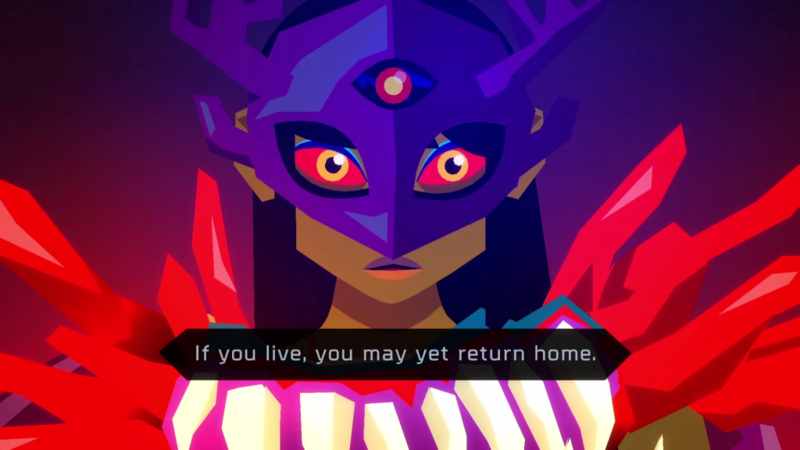 In short, this was not the first trailer that Marlon made for Severed, and he sought to right some wrong impressions made from the previous trailer he made. After working with the guys at Drinkbox Studios on the previous trailer, they came back to me with a few things that people didn’t realize about the game after watching the trailer then playing the demo. The key takeaway is to implement an iterative approach to solving a trailer’s gameplay communication problems. Drinkbox noticed players thought you tapped to attack in the game instead of the actual slicing. So Marlon tried an Apple-style circle, only to find that didn’t work right; instead he modeled a hand, gave it a screen-indicating drop shadow, and started with a sped-up charge-attack to draw eye-focus before turning into a slash. These are all creative problem solutions that took some discovery and trial-and-error. Iteration, essentially. A first-time trailer for a hard-to-explain game will run into a bunch of challenges and problems. When you take time for discovery, you can communicates a game’s complex ideas in record time. Smart-and-steady wins the race. Also, if you haven’t had a chance to try Severed on Vita or iOS, I couldn’t recommend it more. It’s probably my favorite game I’ve ever played on my phone. And it’s just come out on Wii U and 3DS.